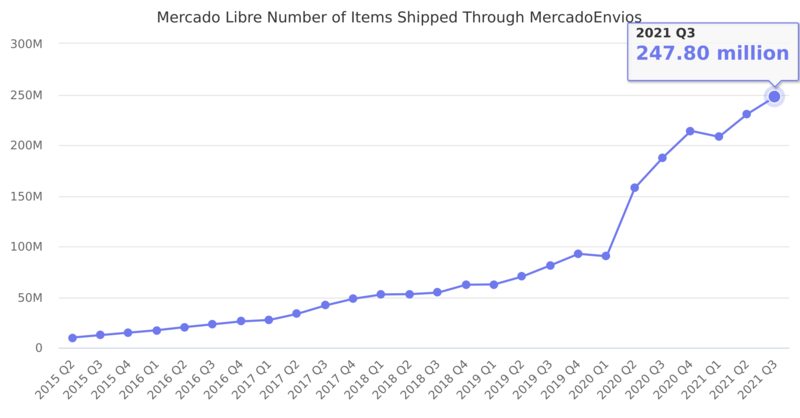 MercadoEnvíos is a free service for marketplace sellers to help them with shipping. Last reported quarter 2018 Q3 it was 54.30 million, up by 30% year-over-year from 41.70 million. From 86.50 million in 2016 it increased by 74% to 150.70 million in 2017.